Harper Collins Publishers (NZ) Ltd, Auckland, 1996, 188 pages. 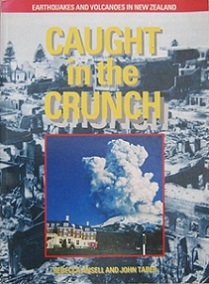 This book tells you what to expect in the event of an earthquake or eruption, and explains why New Zealand is so prone to such phenomena. The extreme forces that have shaped New Zealand are described, using diagrams, photographs and interviews with the survivors of some of New Zealand's worst earthquakes.